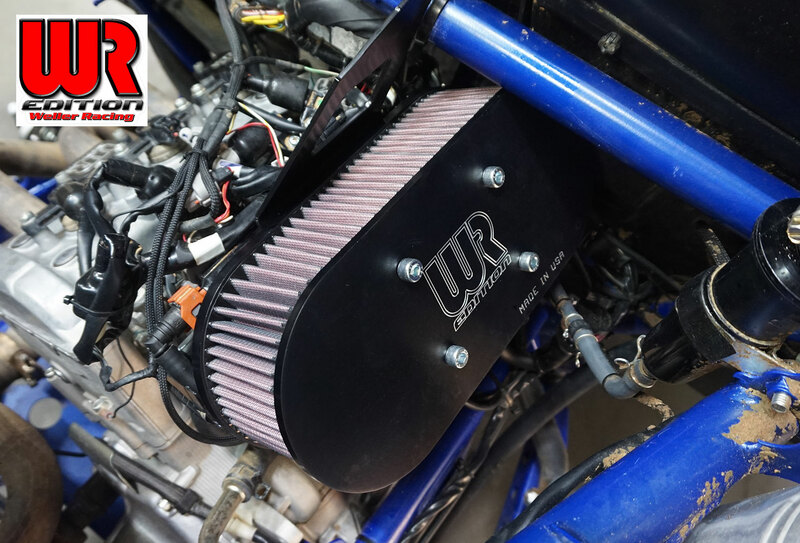 We designed this intake system with the short course racer in mind because they need every bit of power that they can get. It is a open oval filter design so it is not recommended for dunes or desert due to the maintenance it would require to keep it clean. Because it is a full race intake we made it modular meaning that you will be able to update this unit as we come up with better performing parts for it. The installation and maintenance of this intake is the full responsibility of the user. Please make sure that the silicone hoses are seated completely on the throttle bodies and that the mount is secured properly.